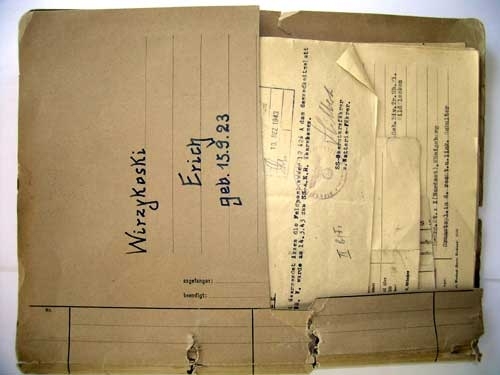 Complete File of SS Mann Erich Wirzykoski. 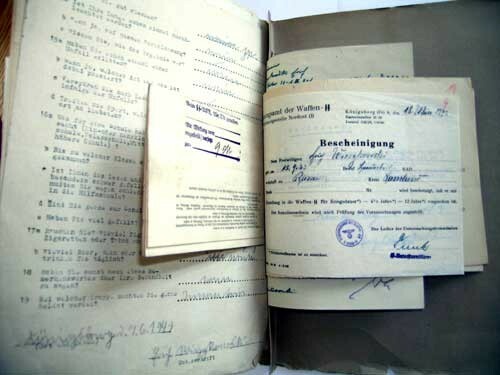 File contains some 50 original documents relating to his draft, training, performance, service, etc. 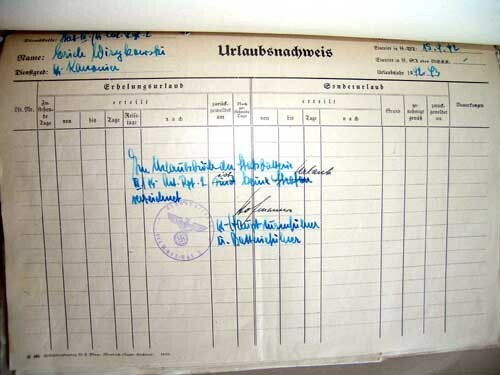 Most documents are signed and stamped. 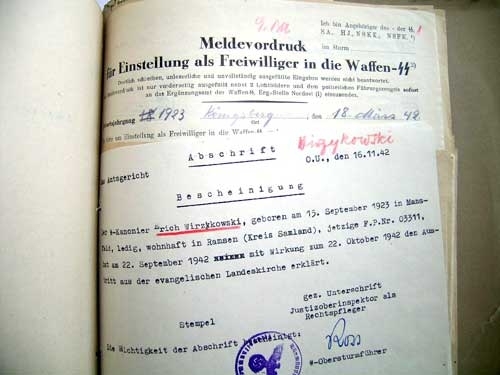 Erich was serving in SS "Prinz Eugen" (document dated 14.6.43.). 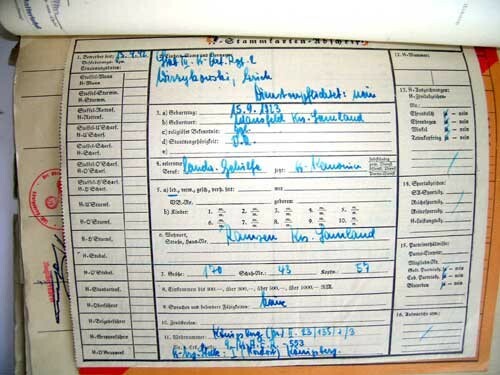 Another document dated 23.5.42 indicates he was "Kanonier" in 9./SS-Art.Erf.Rgt. Yet another document dated 12.Jan.1943 bears stamp of SS Panz.Gren.-Div. "Das Reich". Documents show age, some are slightly torn, mostly in very good condition. 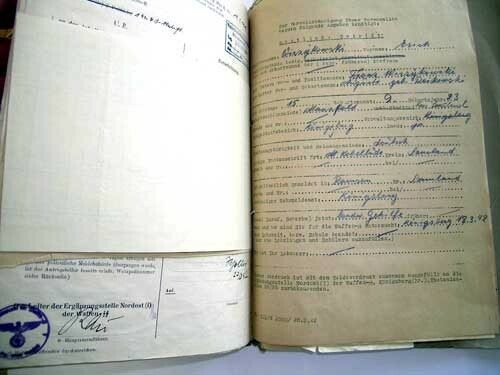 Very scarce, large file to SS "Kanonier".